San Joaquin General Hospital is seeking candidates who possess strong preceptor experience within an acute care ED setting, problem-solving skills, possesses the ability to mentor staff as well as new nurses, possess RN experience in an acute care hospital emergency department, and is able to work in a fast-paced multi-tasking environment. The position to be filled was added in the current fiscal budget. San Joaquin General Hospital is a 196-bed teaching hospital and is a designated level III Trauma Center and Certified Stroke facility.  San Joaquin County Hospital is dedicated to a philosophy of excellence in providing health services, education and professional training in an integrated system that values quality in life, family interaction, and respect for both clients and employees. The Agency is committed to the delivery of community-oriented, culturally sensitive, and affordable health care throughout San Joaquin County. Come join our growing team of licensed professionals! Visit our website at www.sjgeneral.org to learn more about our hospital. Initiates the nursing process and performs highly skilled, clinical patient care including therapeutic measures prescribed by medical authority within the limits of the Nurse Practice Act and department policy; participates in preparation and implementation of written nursing care plans for individual patients. Evaluates the total nursing needs of the patient including physical, psychological, spiritual, cultural and socio-economic; participates in planning, coordinating and administering total patient care; evaluates symptoms, reactions, and progress; participates in preparation and implementation of written nursing care plans for individual patients. Works with patients and families through teaching, counseling, and other methodology in order to help them understand, cope with, and accept illness, treatment, and therapy; assists in self care strategies; may supervise and participate in therapy groups, individual counseling and family conferences, as necessary; provides crisis intervention, stabilization and follow-up therapy; makes crisis referrals as required. Implements and interprets standards of care; communicates and records assessments, nursing diagnoses, interventions, and evaluations of patient's progress using nursing care plans; maintains a safe, therapeutic environment for patients. Serves as a preceptor for new employees by orienting, teaching, participating in the evaluation process, and by serving as a role model and resource person. Keeps records of patient's health care treatment and/or hospital stay; prepares reports and standard forms; initiates and completes performance improvement and other studies in cooperation with the Nursing Department Manager. Assumes full responsibility for the supervision of a unit or shift in the absence of an Assistant Nursing Department Manager or Nursing Department Manager; supervises and assists nursing personnel in the performance of patient care. Maintains and updates knowledge base and nursing skills by reading literature, attending workshops, lectures, conferences and classes as may be required by the Administration of the Department of Health Care Services. Participates on committees as assigned; may represent the department to outside organizations. Participates in the identification of staff development needs for members of the nursing staff. Prepares and presents, within established guidelines, clinical projects as assigned; as applicable, consults and coordinates projects with Clinical Nurse Specialists, the Education and Training Division, or other divisions as appropriate for preparation of courses for Nursing and other staff. Experience: Three (3) years of progressively responsible experience as a registered nurse in an acute care hospital Emergency Department, including one (1) year at a level equivalent to a San Joaquin County Staff Nurse IV. Certification: Possession of National Certification (CEN or CCRN). Experience: Four (4) years of progressively responsible experience as a registered nurse in an acute care hospital Emergency Department, including one (1) year at a level equivalent to a San Joaquin County Staff Nurse IV. Certification: Possession of a TNCC or ENPC. Licenses and Certificates: Current registration as a nurse in the State of California. Successful completion of ED Essentials Course or equivalent, MSE Triage, ACLS Certification, Preceptor Course or equivalent, and PALS. MICN-Code 3 clearance must be obtained within 6-12 months of date of hire or promotion to the Staff Nurse V position in the Emergency Department. Copies of certificates must be submitted at the time of application. Theory, techniques, and practices of nursing, particularly in area of specialization; new developments in patient care; skills specific to clinical scope of practice: the nursing process; nursing staffing patterns; basic supervision; leadership skills; safety principles and practices; applicable Federal and State laws as related to patient care. Supervise and assist members of the health care team; maintain a high standard of care; deal with patients empathetically and respectfully while performing treatments prescribed; instruct patients in self care and preventative health strategies; follow oral and written instructions of a technical and professional nature in accurately; establish and maintain effective working relationships with others; establish and maintain effective customer service; maintain accurate records and prepare routine reports; develop and implement individualized care plans for patients; coordinate the several types of services which may be necessary for appropriate care; assist other staff in understanding current psycho-physiological aspects of illness; set priorities; work accurately under pressure; interpret policies and procedures; teach clinical skills; develop basic teaching plans and teach classes; supervise and participate effectively in performance improvement processes; provide and promote a positive learning environment.